The world record for a Pedigree Limousin was broken on last Friday by maiden Heifer Glenrock Illusion sells for new world record for a pedigree Limousin of 125,000gns (€164,971) at Borderway Mart, Carlisle, UK. The previous record was £126,000 (€158,346) for Limousin bull Dolcorsllwyn Fabio, set in 2012. 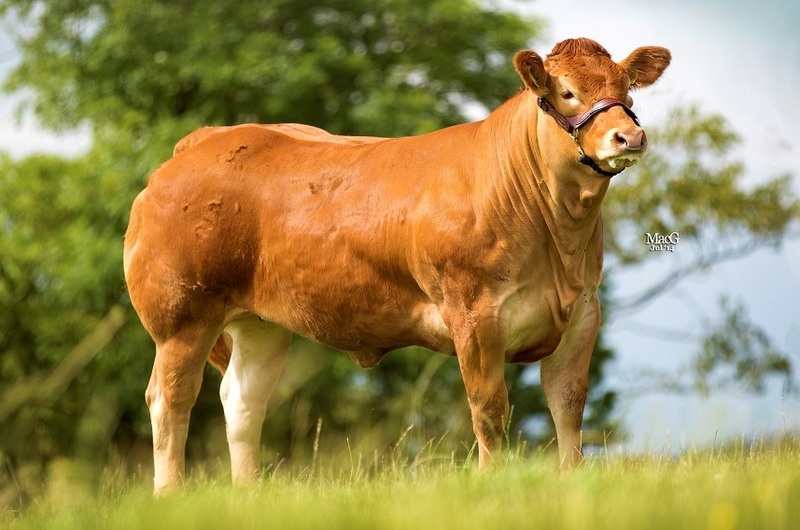 According to the British Limousin Cattle Breeding Society a stunned audience at Borderway Mart witnessed the new record mark when Illusion was snapped up by Mike & Melanie Alford, Foxhill Farm, Blackborough, Cullompton, Devon. It says the huge crowd saw Glenrock Illusion, a January 2013-born embryo calf by Goldies Comet and out of Glenrock Spangle, go under the hammer having stood as Junior Champion and Reserve Junior Interbreed Champion at the 2014 Royal Highland as well as Perth Limousin Grand Prix Champion earlier this month. Held at Borderway Mart, Carlisle, on Friday August 22, the British Limousin Cattle Society Breeders’ Sale was billed as a Sale of the Glenrock Herd including Show Team and was brought about to help fund the purchase of the Illingworths’ Howgillside Farm which they currently rent. The twelve-year-old cow Glenrock Spangle, who has bred females to 20,000gns (Glenrock Bianca, Red Ladies 2007) and bulls to 16,000gns (Glenrock Fortune, Carlisle May 2012), will be retained in the herd. The Glenrock herd is based on three noted cow families (Glenrock Juniper, Glenrock Spangle and Glenrock Saspirilla) and has produced many Championship winners and leading sale-priced bulls and females since its establishment in 1982 with the purchase of two Funambule-sired heifers, Funambule being part of the original importation of Limousins from France in 1971.